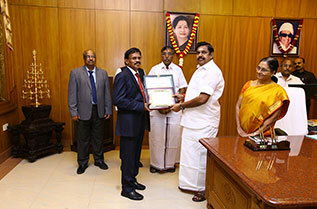 The Director of Research of TNJFU, Prof. G. Jeyasekaran, was awarded with Tamil Nadu Scientist Award (TANSA) 2016 in the discipline of Veterinary Sciences by the Tamil State Council for Science and Technology (TNSCST), Govt. of Tamil Nadu. 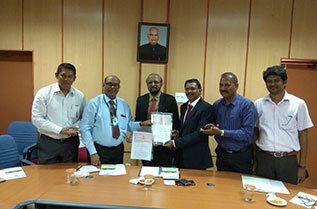 The Tamil Nadu Dr. J. Jayalaithaa Fisheries University (TNJFU) signed a MoU with the ICAR-Central Island Agriculture Research Institute (CIARI), Port Blair, Andaman & Nicobar Islands on 23.10.2018 at CIARI campus by the Director of Research. 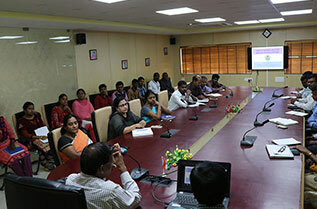 Prof. G. Jeyasekaran, Director of Research (DR), Tamil Nadu Dr. J. Jayalalithaa Fisheries University (TNJFU) conducted a sensitization meeting on research publications for the faculty members, and PG and Ph.D. students of Dr. M.G.R. FC & RI, Ponneri on 22.10.2018.